Vecoplan is a leader in medical waste shredding equipment and shred technology. 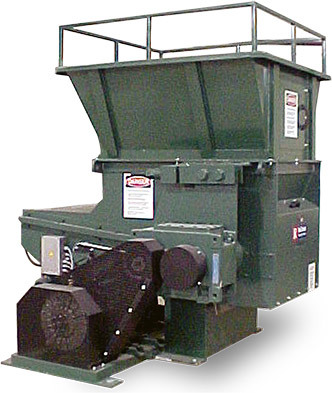 Our shredding machinery is an integral part of a superior medical waste treatment system that will help provide the best medical waste management solution. Shredding medical waste in preparation for landfill disposal is a critical part of medical waste processing. Medical waste requires shredding equipment specifically designed to shred medical waste to an unrecognizable consistency to be acceptable in most landfills. In particular, the shredding of "sharps" has proven to be a challenge for many shredders - but Vecoplan medical waste shredders can process sharps to an unreconizable state with ease - as well as bandages, gowns and other hospital waste. 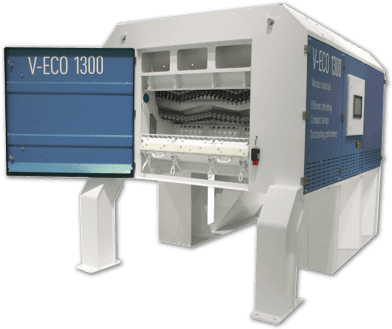 Vecoplan M-Series Medical Waste Shredders meet these requirements to the fullest, shredding sharps and treated medical waste effectively and efficiently. Designed specifically for medical waste, Vecoplan M-Series Medical Waste Shredders offer the most advanced and efficient shredding technology available today - and Vecoplan medical waste shredders add the ability to shred confidential hospital documents and records. Sharp processing and hospital waste shredding using shredding machines intentionally created for the destruction of medical waste greatly improves efficiency. By utilizing medical waste shredding equipment, one reduces the amount of medical waste volume associated with medical waste sterilization equipment and transporting large volumes of medical waste to disposal facilities.